Click on one of the sections below to see all the details of our wonderful facials. Rationale Enzyme Reactivation Treatments are a proven system of ultra-mild, in-clinic, skin treatments targeting pigmentation, sun damage and acne. For best results and long-term luminosity, they are usually prescribed as a course of 4-6 clinical treatments performed a month apart. Over the course of treatment your skin therapist will tailor the actives and strengths according to your skin’s individual responses. Each treatment takes approximately 30 minutes. The range includes: Lactic Acid (LA), Salicylic Acid (SA) and Pyruvic Acid (PA). There is an Enzyme Reactivation Treatment for every skin condition, even the most sensitive. Each treatment has been developed and tested by dermatologists to ensure optimal results with maximum safety, no pain and no downtime. 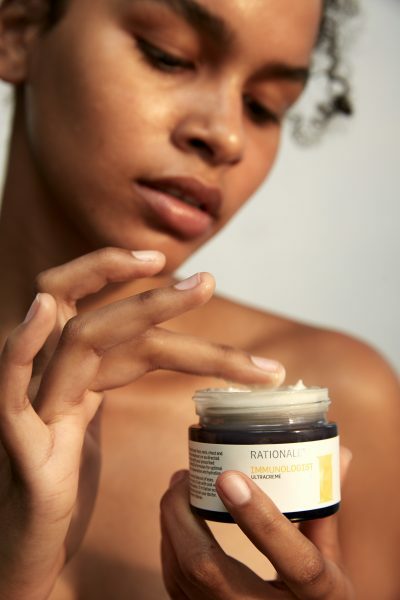 Your Rationale Skin-care doctor or specialist will customise your treatment, selecting from varying strengths of Lactic, Salicylic and Pyruvic Acids according to your skin’s unique needs. Enzyme Reactivation Treatments can be targeted according to your localised, skin concerns. For example, it is possible to have pigmentation, acne and fine lines all at once. A treatment plan for each of these conditions is drawn up. Each area is then treated with the appropriate Enzyme Reactivation solution. The Rationale Enzyme Reactivation Treatment solutions are based on organic compounds such as Lactic Acid and Vitamin C. Ingredients that work with your skin’s natural physiology, restoring a healthier, clearer, more luminous tone and texture. Which Enzyme Reactivator is right for me? For signs of sun damage and minor breakouts. Your Rationale doctor will choose from 20%, 40% or 60% strength depending upon your special skin concerns. For breakouts, blackheads and enlarged pores. Your Rationale doctor will choose from 12%, 16% and 20% strength depending upon your special skin concerns. For sensitive, more mature skin. Rationale PhotoGenic Facial is a 60-minute, luminosity-boosting treatment incorporating rejuvenating light-based technology. It has proven skin-correcting actives and relaxing massage techniques for instant skin smoothness and radiance. “Harnessing the power of LED light and Rationale’s armoury of skin-identical actives, our new PhotoGenic Facial is the perfect luxury-express treatment for clients seeking immediately-visible treatment results.” Richard Parker, Rationale Founder + Director. This rejuvenating, new-generation facial combines relaxing, micro-circulatory massage techniques. A high-potency, facial-mask infusion and rejuvenating LED therapy to optimise penetration of cosmeceutical actives to reinvigorate dry, dull or lacklustre skin. Skin appears immediately smoother, softer and significantly more luminous. Rationale PhotoGenic Facial is the ultimate “beauty-flash” treatment and the perfect introduction to the Rationale range. It is the ultimate, interim treatment in between monthly maintenance in-Clinic Enzyme Reactivation Treatments. 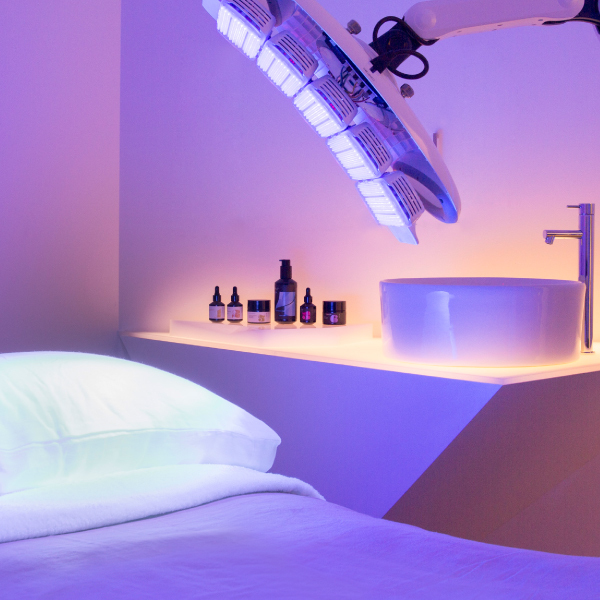 Experience the Luminous Future of Facials! Rationale EpiNova Photosonic Facial is a 90-minute, supercharged, anti- ageing treatment incorporating advanced technology, proven skin- reactivation formulas and relaxing massage techniques for the ultimate in skin rejuvenation and radiance. This new generation facial combines photosonic LED and ultrasonic technology with a customised RATIONALE Enzyme Reactivation Treatment™ to target signs of environmental damage, pigmentation and congestion. Relaxing micro-circulatory massage techniques improve skin tone and optimise penetration of powerful cosmeceuticals to rejuvenate sun damaged skin, improve skin texture and smooth away fine lines. Skin appears significantly more luminous and youthful. Rationale EpiNova Photosonic Facial is the ultimate companion to in-clinic procedures and a recommended step-up from your monthly maintenance Enzyme Reactivation Treatments and Facials. Rationale EpiNova Photosonic Facial is usually prescribed as a course of 4-6 clinical treatments performed a month apart. Over the course of treatment your skin therapist will tailor the actives and strengths according to your skin’s individual responses.